Because the birds are in different molt patterns it's difficult to define whether they are long-billed or short-billed dowitchers - the key features for differentiating is the plumage and not the bill, unfortunately. But it is definite enough to label them as dowitchers. 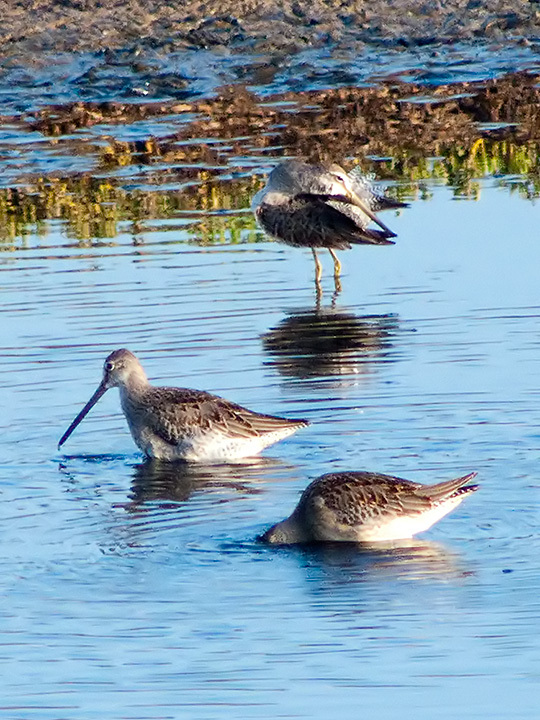 If you hear them vocalize, the short-billed dowitcher has 3 quick notes and the long-billed has one note.